Brothers Rugby Club participates in the QLD Premier Rugby Competition. The club fields 12 teams from Premier Grade – 7th Grade, Colts 1 – Colts 4 and a Premier Womens team. Alex Perez has returned home to Brisbane and will don the butcher stripe for the first time this Saturday after spending a number of years in the Sydney Shute Shield Competition playing for Southern Districts. Look out for his high work rate and leadership of the forward pack. Rohan Saifoloi has come to Brothers from Southern Districts in the Sydney Shute Shield Competition. ‘Ro’ is originally from Brisbane State High where he played Australian Schoolboys and has an extensive representative background including having played for Samoa, in the New Zealand ITM Cup and NRC in Australia. A local product from Padua College and a brother to former Premier Grade winger Lachy Creighton. Lawson is looking for a big year in 2019 after a successful 2018 which included representing the Australian 20’s and also a stint with the Panasonic WildKnights in Japan. 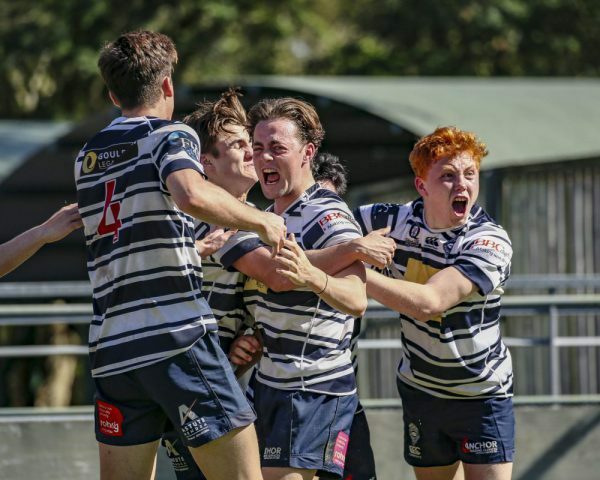 The Rohrig Elite Development Program (EDP) provides a pathway for emerging rugby talent to maximise their development on and off the field post school. It offers young players the opportunity to train and play at one of the largest and most successful rugby clubs in Australia and be part of the supportive and spirited Brothers community. The Rohrig EDP provides holistic development and education to further the participants’ potential through high quality coaching, education and mentoring from some of Queensland’s leading industry professionals and Rugby coaches. The aim is to build both rugby and life skills and create networks that help the participants achieve their goals in the short and long term. The strength of the Rohrig EDP is the focus on the individual. The program is tailored to enable each player to reach their potential within a successful team environment, with the intention of helping individuals to become not only great players but also great people. The program commences with a 3-day Performance Camp on the first weekend of February. The program is designed to build the physiological capabilities, performance mindset, core skills and position specific skill set of each player. Each EDP member receives individualised strength and conditioning programs, recovery, nutrition education, performance reviews, tracking and a progressive skill development program. Training sessions are focussed on individual core skills, position specific skill development and individual skill deficiency work. Players train every week on a Wednesday night from February to August (26 weeks). This is in addtion to the players’ regular team training sessions. Players are given individualised periodised strength programs throughout the pre-season and in-season phase, and are regularly tracked and reviewed. Players are educated on effective sports nutrition to help them with increased energy levels, improved performance and both training/game recovery. This includes skin folds, nutrition education seminars, hydration strategies and if required customised supplement plans. Players are closely monitored throughout the season to ensure their overall wellness and health is upheld. At the start of the season, each player is required to set both on-field and off-field goals for the season/year. These goals are reviewed in monthly group workshop sessions. Development Leveraging the Brothers business network, regular seminars are held for the players on topics such as leadership, winning mindset and decision making. Rohrig EDP recruits are required to support the Brothers Modified Rugby Program (MRP). The MRP provides coaching & mentoring opportunities for the players with individuals who have additional physical and intellectual needs. Our mentor program is designed to provide motivation and guidance to the players with their on-field and off-field goals. The Brothers extensive former player and corporate network is accessed to provide the players’ with an appropriate mentorship throughout the program. a) Construction Industry Pathways For players interested in pursuing a career in the construction industry, Rohrig Constructions will employ them through their Rentals division as a Storeman. This provides an opportunity to be inducted in safety and to get exposed to all trades in construction. When the player decides which area of constructing they are interested in pursuing, Rohrig will facilitate an interview with an appropriate company in that trade for an apprenticeship. b) Other Industry/Career Opportunities Once the player’s desired pathway is understood, we will explore the Brothers network to identify possible employment opportunities and connect the player with appropriate contacts. c) QUT Brothers has entered into a partnership with QUT, through this relationship EDP players are able to receive career guidance and information about various tertiary opportunities which may exist through QUT’s Elite Athlete Program. Brothers Rugby Club combines more than 1,200 players from Under 6 through to Premier Rugby. It is one of Australia’s largest rugby clubs, and a significant community hub with the Brothers Touch Association and 7s rugby programs offered to men and women of all age groups. Brothers is the ‘family club’ and plays a key role in Brisbane’s Inner North. Formed in 1905, Brothers Rugby Club has a long and rich tradition in Rugby Union in Queensland with 83 Internationals, including 6 Wallabies, 1 Kangaroo and 1 Wallaroo. Among the list of notables who have worn the Brothers jersey are six Wallaby captains; JP ‘Jimmy’ Flynn, Des Connor, Paul McLean, Anthony Shaw, Rod McCall and John Eales. The club has also produced over 200 Queensland players and have won 28 ‘A’ Grade premierships. Brothers Premier Grade have also contested in 12 of the last 13 finals series, proving to be the most consistent club in the competition. Off the field, Brothers players are renowned for being proud and active community members, continuously looking for ways to positively impact the lives of those in our community, through rugby and the club. 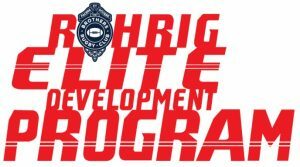 Rohrig is committed to the success of the Elite Development Program. Rohrig believe in supporting young men and women and driving positive growth in every aspect of their lives. Rohrig plays a vital role in supporting and driving the program to assist with the transition of players from school and into Premier Grade rugby. Rohrig sees people as their most important resource and works hard to attract quality people and help them to be the best they can be. Just like the Rohrig Elite Development Program, Rohrig helps their employees grow from good people into great people. Where possible, Rohrig and its affiliate business partners also help to facilitate career opportunities for our players away from the rugby field. "The Rohrig program was a really good platform for me to focus on my individual skills specific to my position. The coaches really helped me transition from school footy to playing against men and developed me as a player that got me opportunities with the Rebels and many more." "The Rohrig EDP provided with me individual skill development training opportunities that enabled me to focus on taking the next step in my rugby career. It was also a great chance to receive one on one time with coaches to go over my game and focus on specific areas I needed to work on"
"For guys like myself, who wanted to make a career out of playing footy, the Rohrig EDP was a big step forward in learning how to become a professional."